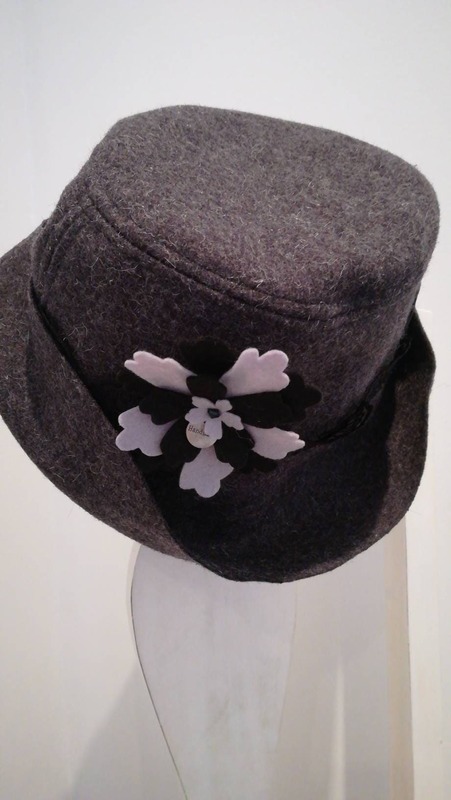 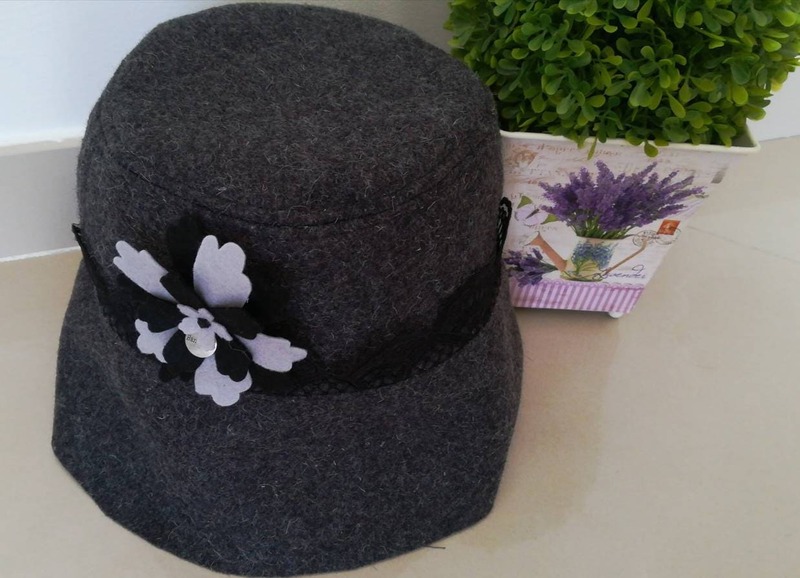 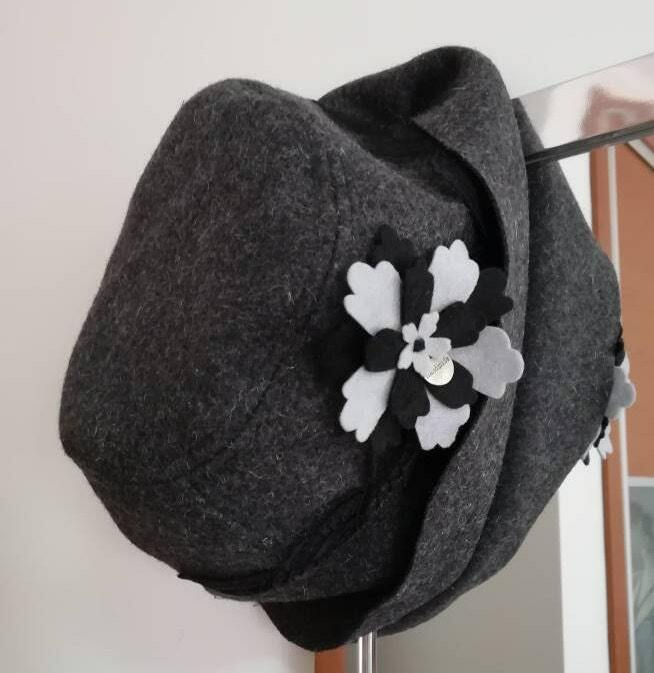 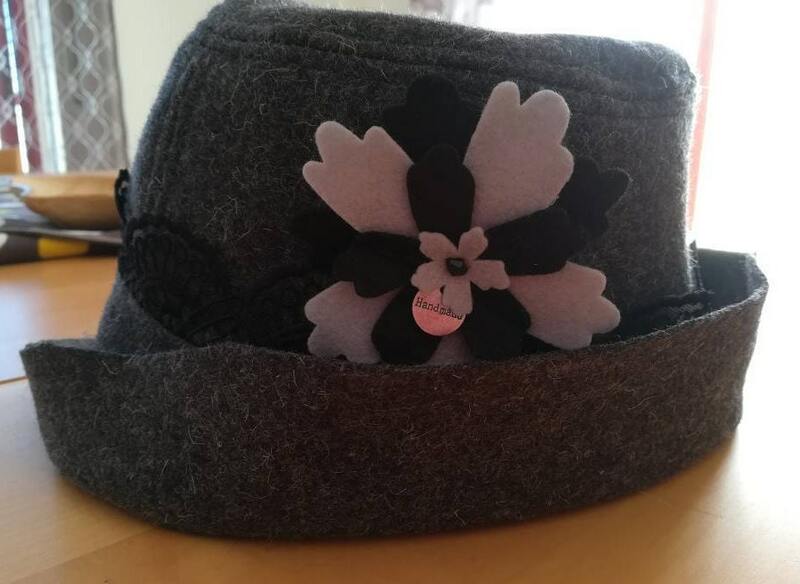 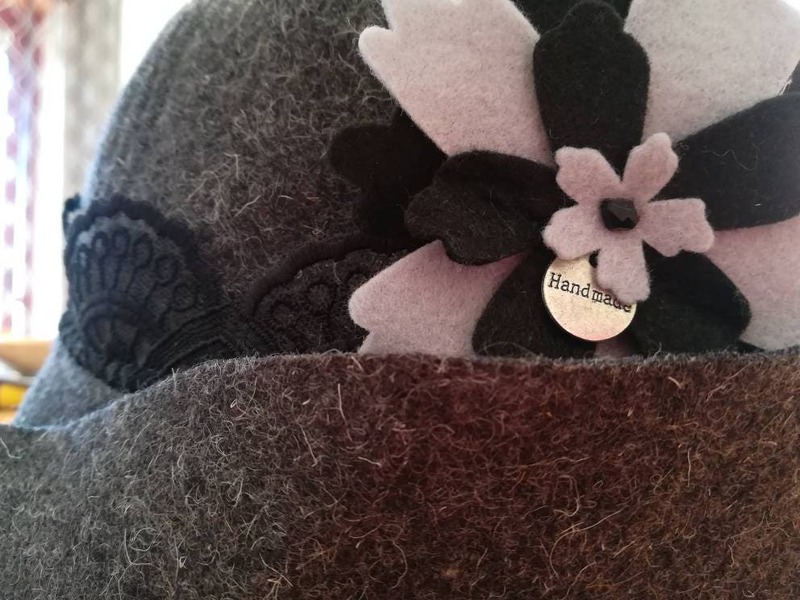 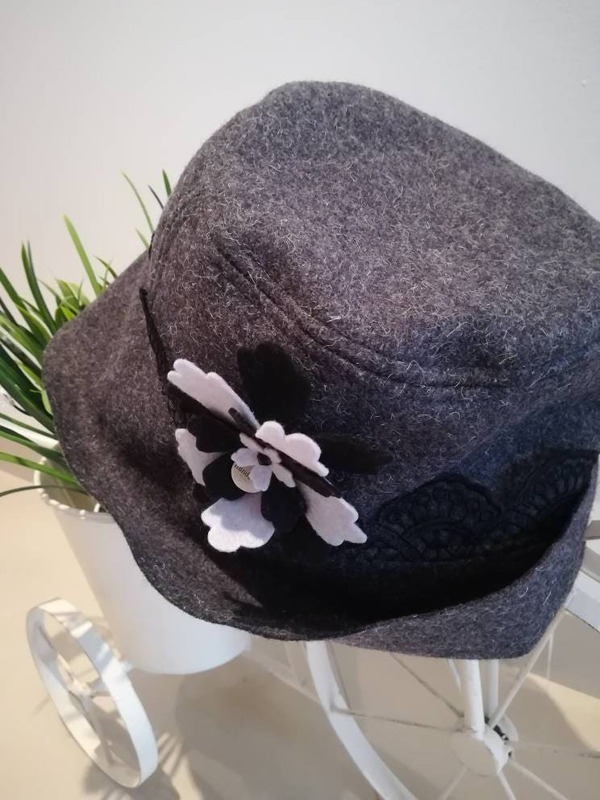 Hat with flap, made of grey-tone burel. 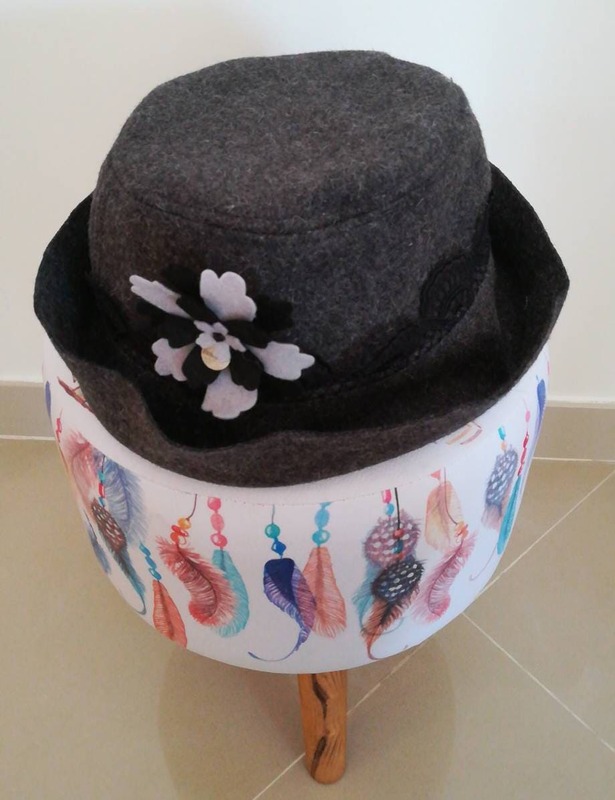 The Burel is a 100% wool fabric from the traditional Bordaleiras ewes of Serra da Estrela-Portugal. 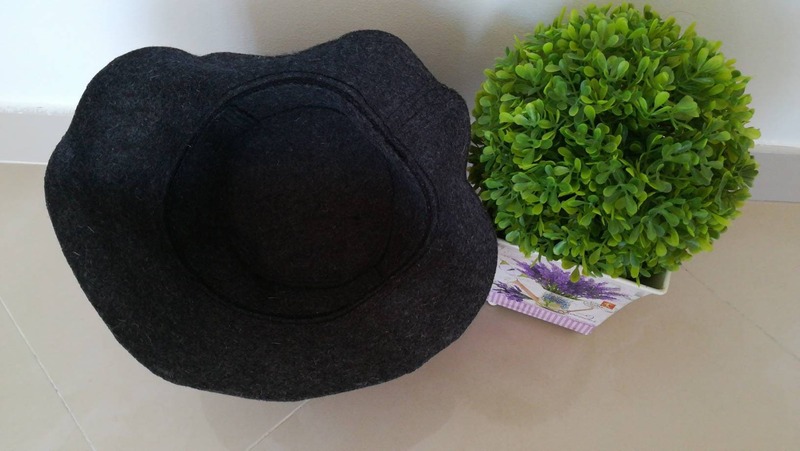 It is a moldable and very hot fabric, does not defia and has excellent maintenance. 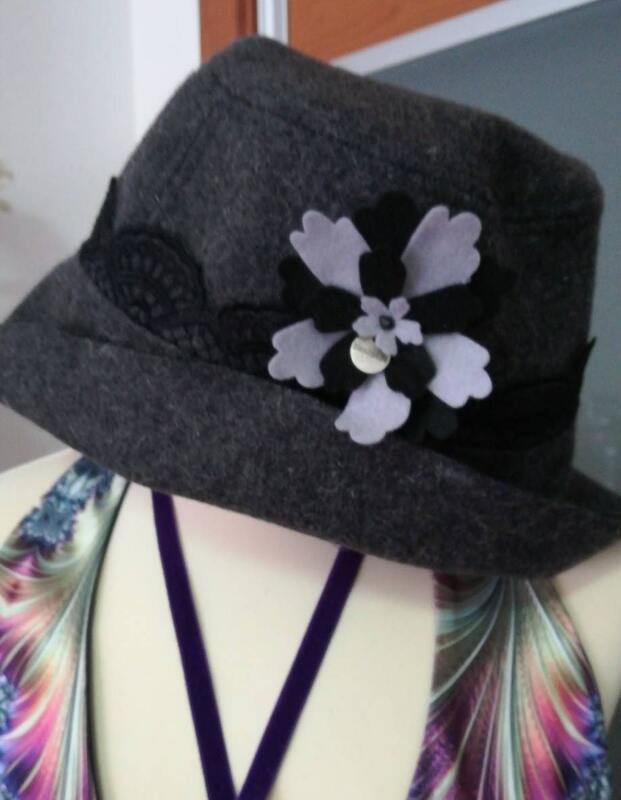 This hat has approximately 60cm of diameterxouter and can be used in several ways. 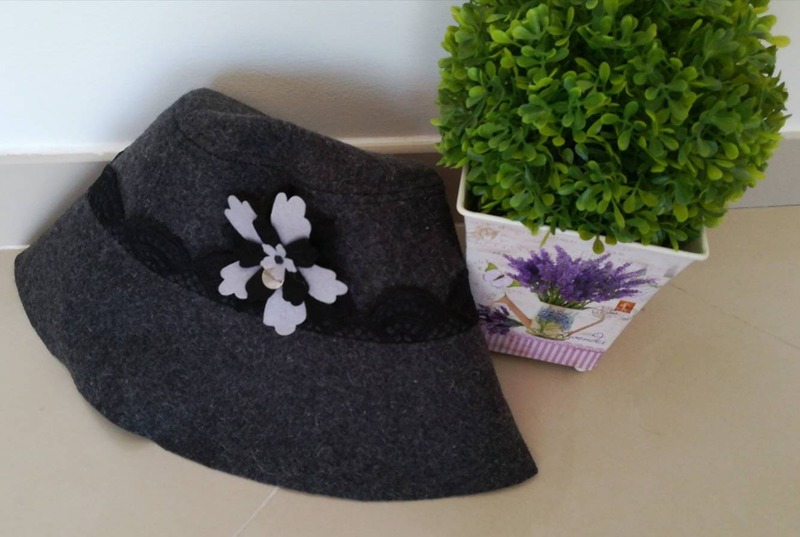 With black lace application and removable brooch in flower-shaped felt.